Ready Set Vault is a junior program for 5-12 year olds. It teaches basic horsemanship, then develops gymnastics skills on the ground and a barrel, before gradually transferring those skills onto a moving horse. Ready Set Vault introduces young people to the world of horses, teaching them fundamental horse skills and horse awareness within a safe and fun setting while also focusing on instilling core values such as responsibility, communication, respect, empathy and team work. Students will learn about horses, horse care, and horse safety, as well as gymnastic skills from a qualified coach. 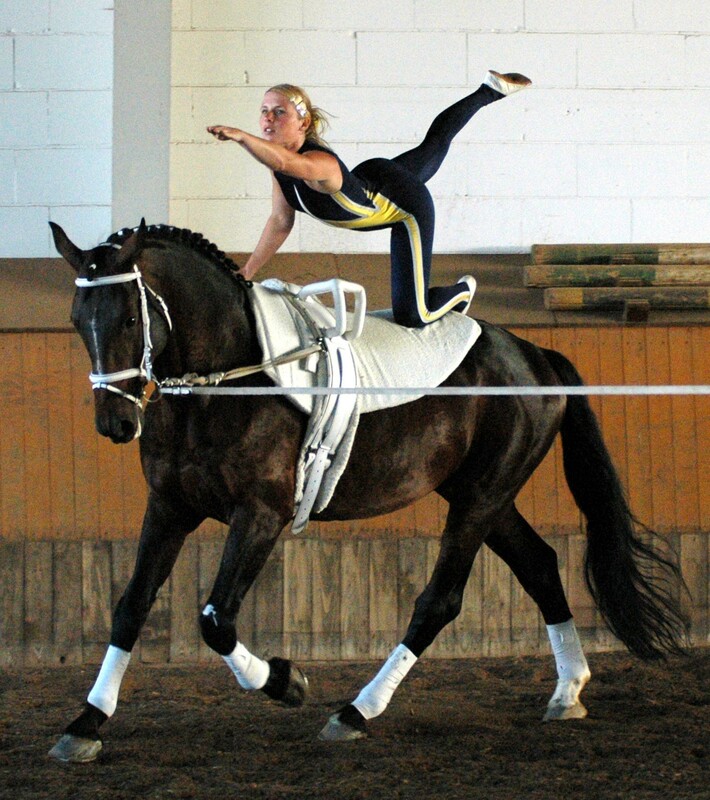 These skills will be developed safely on the ground before being transitioned onto a vaulting horse (prop), and then finally onto horseback. Please note that due to the small number of vaulting coaches available, Ready Set Vault is only available at a limited number of Riding Centres. 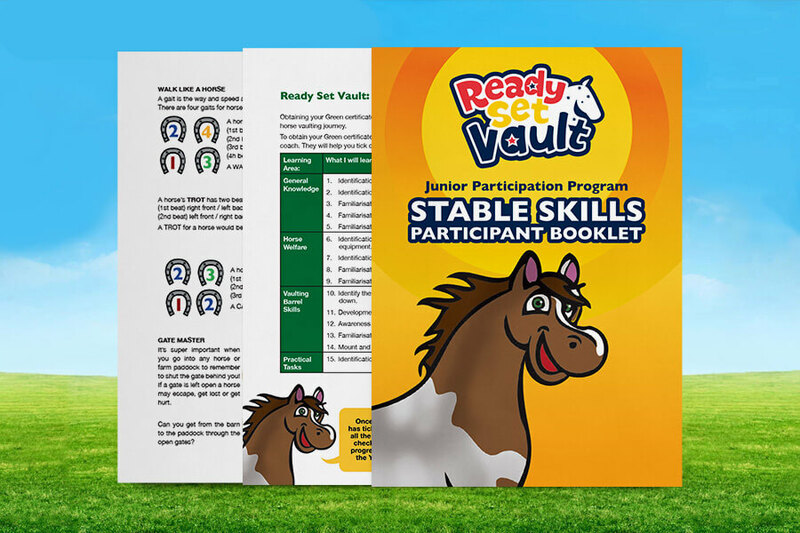 Ready Set Vault includes an activity-filled handbook to help your child learn about horses – and have fun along the way. We are committed to providing a safe environment during the course of each child’s participation within the Ready Set Vault program. Whether participating in mounted or unmounted activities, children are monitored and taught the essentials of staying safe around horses. Coaches delivering Ready Set Vault require appropriate coach accreditation and are responsible for ensuring their insurance is maintained and up-to-date. We recommend parents follow up with their Ready Set Vault coach to confirm they have their current coaching requirements.